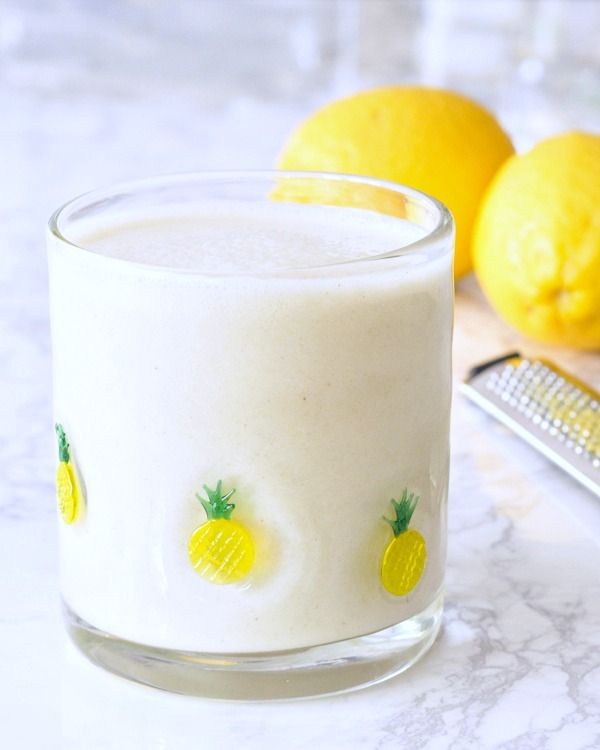 Light Bright Lemon Smoothie – fresh and filling, this quick and colorful smoothie is a great snack or breakfast, with flavors of sunshine! Did you have a Lite-Brite when you were a kid? I loved mine. As a young beginner creative, those blank pages were my favorite. I just cannot wait for the summer like temperatures to return, now that we’ve had a tease of the hotness. We are expecting overcast skies and rain all week here, but in our kitchen it is bright and summery and fresh. yeah. I mean, that never happens here either. 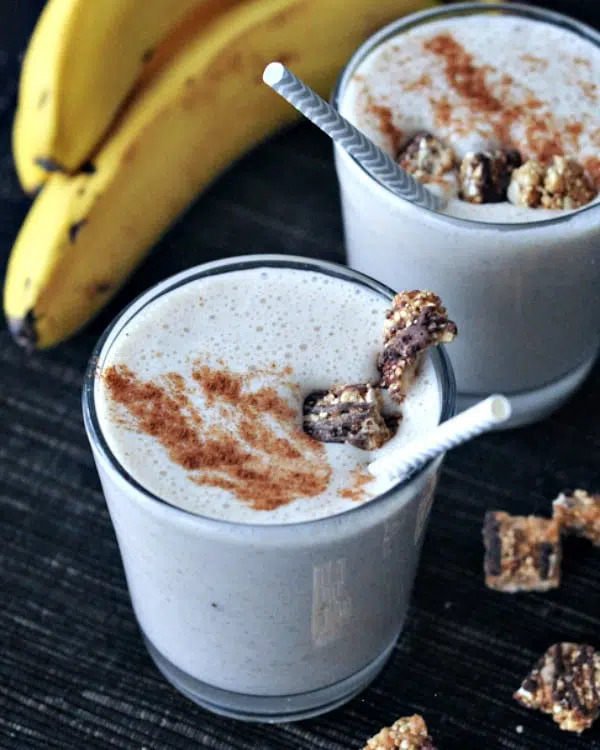 Snickerdoodle Smoothie – a mildly sweet smoothie with that distinct tangy flavor only found in a snickerdoodle cookie! perfect for breakfast, snack, post workout! I have seen quite a few snickerdoodle recipes in the recent months, and none of them have cream of tartar. That is what differentiates a snickerdoodle from… a cinnamon cookie. All the snickerdoodles I grew up with, anyway. …and how I learned to make them in school. Cream of tartar is a leavening agent like baking soda or powder, but it also brings a tangy Snickerdoodle flavor. A snickerdoodle needs that distinctive tang. I created a Quinoa Snickerdoodle for the We Love Quinoa cookbook, which you can all see in January. In the meantime, I will share with you the quick, easy, and tangy sweet Snickerdoodle Smoothie I have been enjoying since late summer. 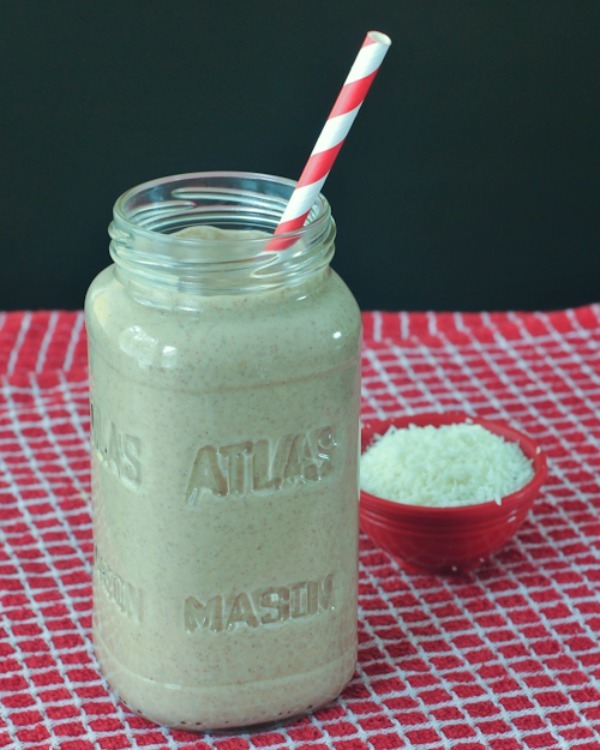 Cream of tartar is for the sole purpose of flavor here – I know, it’s weird, but… it’s a Snickerdoodle Smoothie. 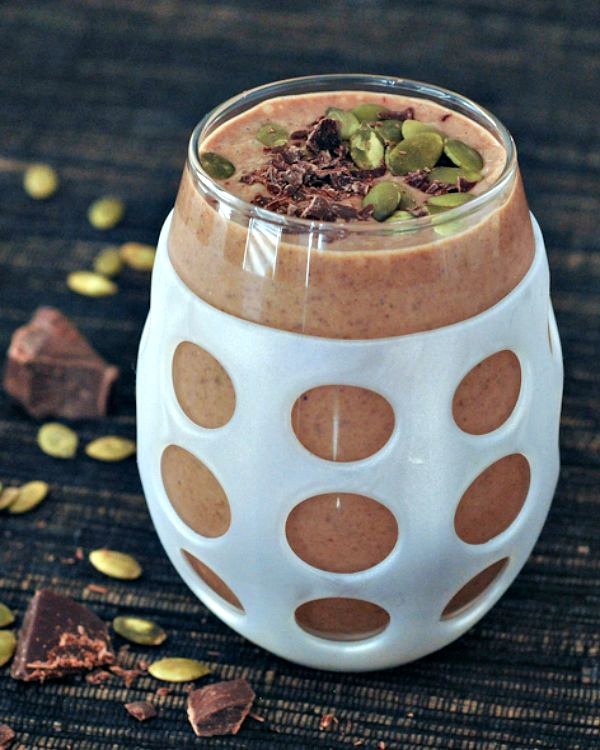 Double Chocolate Smoothie with Salted Pepitas – chocolately sweet and salty, this nutrient packed, protein dense smoothie is great as a snack, workout recovery, or superfood meal. This post contains my astonishment that it is almost February, and a secret about my preferred dinner time. That and my Time Passing Astonishment? I am an old. 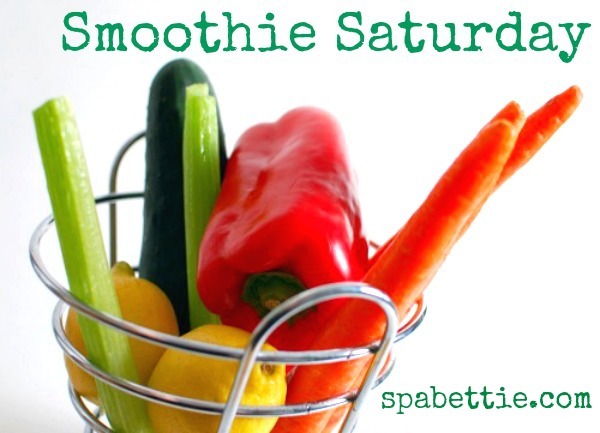 Happy weekend, and welcome to another Smoothie Saturday! 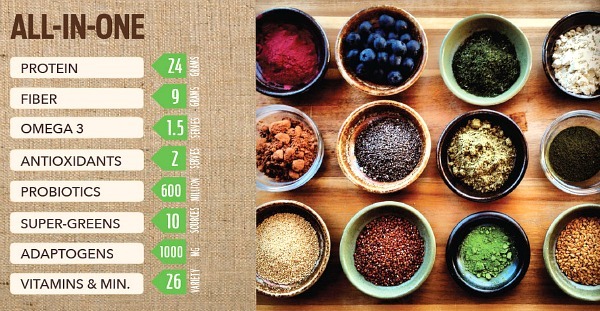 Last summer I was contacted by the folks at Ka’Chava, a superfood shake they call Tribal Superfood – The Whole Body Meal. I told them the same thing I always tell brands who want to send me product to review – that I will only share products I actually like and would use. I asked for a quantity that I could use for a month or more, to see if this would fulfill my expectations of a protein powder, meal replacement, second breakfast recovery, or snack. They sent me tubs of both flavors, and I used it exclusively until it was gone. I had Ka’Chava with me while traveling, it makes a great hotel breakfast. I often make a half serving in the afternoon, if I know we will be having dinner later than my preferred time of Early Bird Senior Discount Dinner In The Afternoon. Ka’Chava boasts a long list of benefits: digestive health, sustained energy, mental focus, hunger control, lean muscle, and did I say sustained energy? 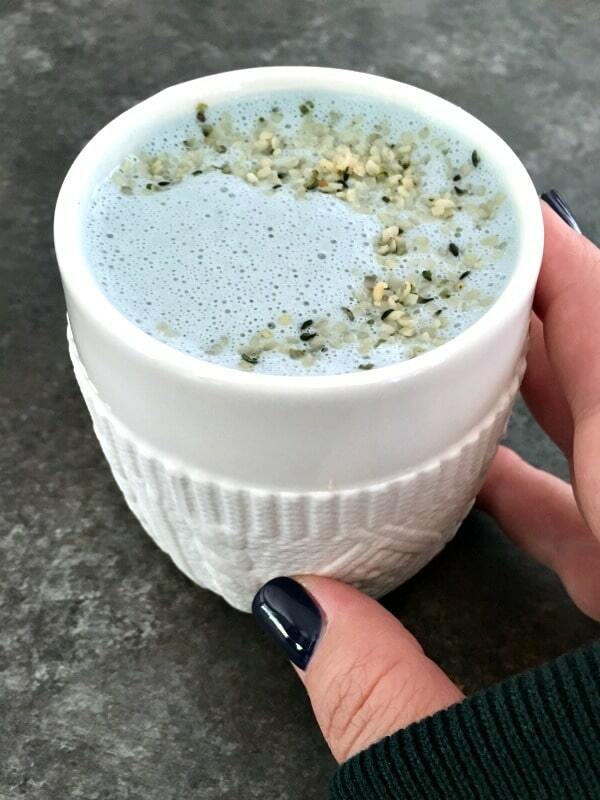 The ingredient list is also impressive, with more than 60 nutrient-rich plants and super-foods, including chia, maca, amaranth, camu camu, and sacha inchi. Ka’Chava is vegan, and free of gluten, dairy, soy, artificial sweeteners, flavors, colors, and preservatives. I am back from business trip / vacation, and all I want are All The Vegetables. I just spent a week in San Francisco, and while I ate some awesome freshness, I also spent several days walking the Fancy Food Show, sampling, eating, sampling, drinking! In the days since I have been back home, I have made some glorious salads. Some veggie stuffed wraps. And a smoothie or a juice every morning. 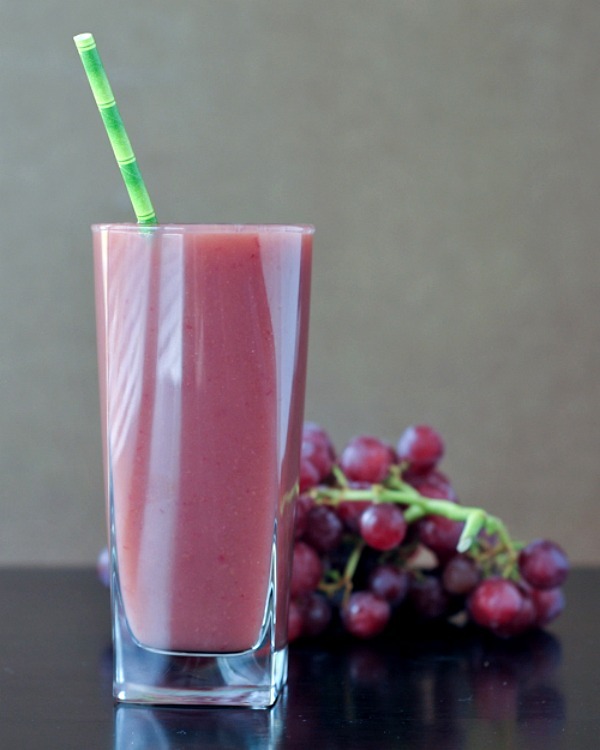 My slideshow for January is just that – twelve nutrient packed smoothie and juice recipes. or click here to see the whole collection. 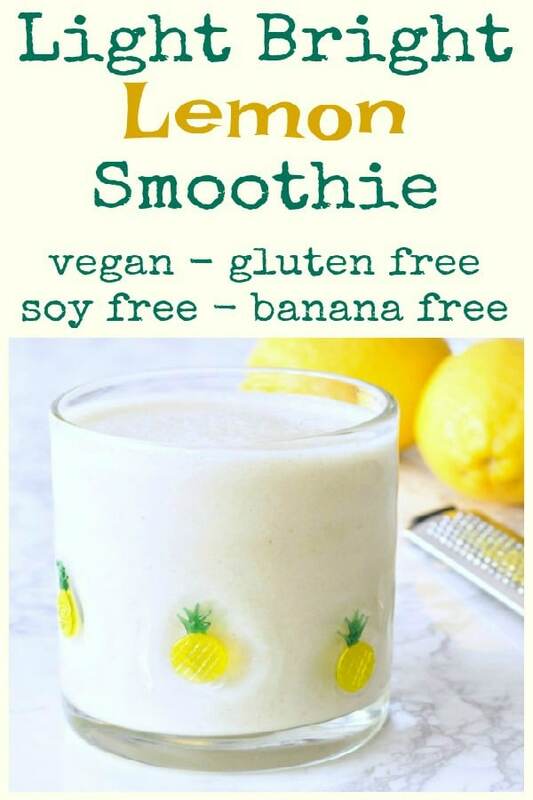 On the heels of her wildly successful book The Blender Girl, my friend Tess has just released The Blender Girl Smoothies – an easy, healthy smoothie recipes app! There are 70 bright and beautiful smoothie recipes with a new recipe released each week – for 100 total recipes when complete. This app is extremely comprehensive, with boosters for each recipe (my favorite part! ), blender tips, and full color photos to go with each recipe. Visual cues that indicate specific benefits and attributes of each recipes (e.g. detox, weight management, alkaline, anti-inflammatory, protein rich, immunity boost, energizing, unsweetened, contains nuts). Dietary restriction filters and metric/imperial conversions. 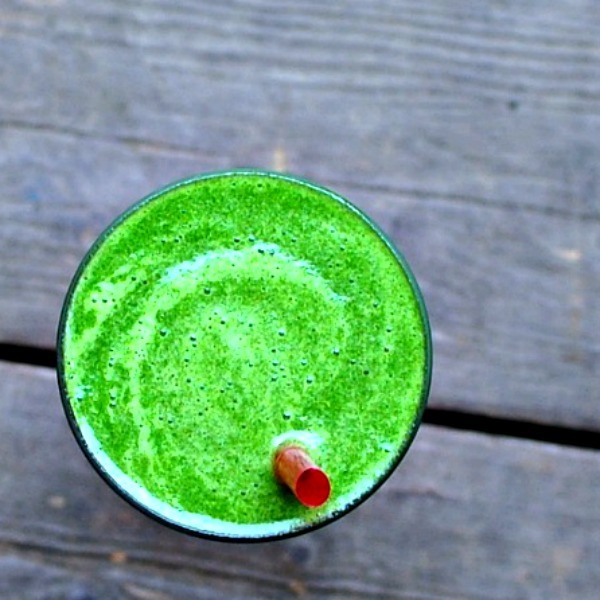 When I made this one, I added the cayenne pepper and chard leaves boosters. If you like a kick of spice, the cayenne is definitely a recommendation – we loved it! With a complex, mind-blowing flavor that explodes like a firecracker (don’t omit the cayenne), this is a heart-healthy delight. Pomegranate lowers blood pressure, keeps arteries supple, decreases inflammation in blood vessels, and helps manage cholesterol. Its phenolic antioxidants (also in strawberries) combat oxidative stress, making this an anti-aging tonic. check out both Tess Master’s book The Blender Girl, and her app The Blender Girl Smoothies for vibrant plant based recipes! 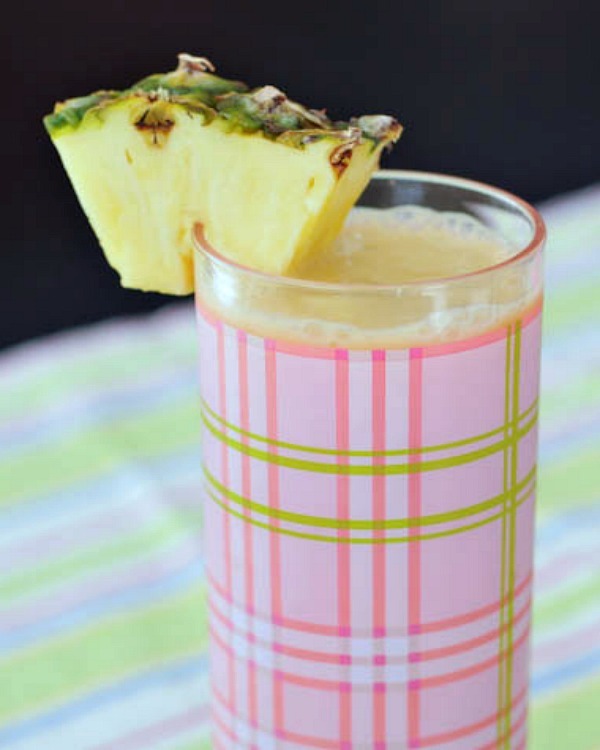 App photos by Erin Kunkel from The Blender Girl Smoothies app © Tess Masters, copyright (c) 2014. Published by Ten Speed Press, an imprint of Random House LLC. 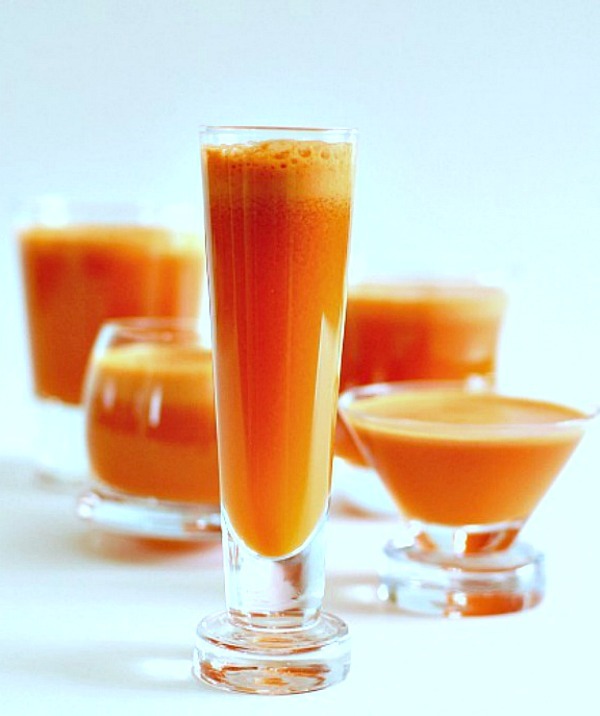 Papaya Turmeric Mocktail – a flavorful and nutrient packed morning SHOT to begin your day! Bright and Vibrant, this is definitely a tasty wake up call. CHEERS! Last weekend was a whirlwind for me, a straight up whirlwind.